With the rapid development of the local gastronomy market, the volume and variety of Kraków restaurants is now extremely wide, and though the city's most refined restaurants are still waiting for starry-eyed acceptance from a certain French tyre company, Kraków's city's culinary rep is most definitely on the rise. 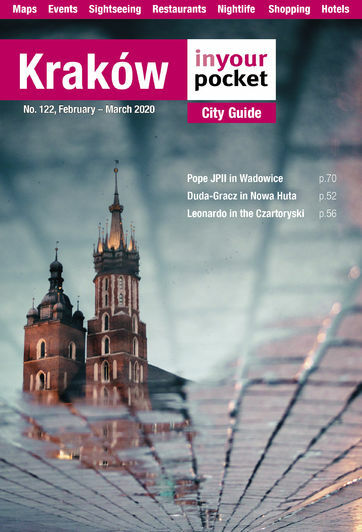 For proof, look no further than the fact that not only has Kraków been anointed 'European Capital of Gastronomic Culture 2019' - it is the first city to receive the prestigious title (take that, Michelin). There are certainly more good restaurants in Kraków than you could ever possibly fit into one trip, so fear not, you won't have to eat tyres. All our Kraków restaurant reviews are updated regularly, completely subjective and unsolicited. The opening hours we list are given to us by the restaurants themselves, but only serve as rough guidelines as to when you can expect the chef to be working. Enjoy reading our online reviews of Krakow restaurants, but don't let us have the final word - leave your own opinions in the comments section. Smacznego!